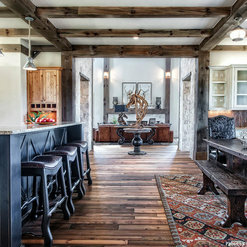 Selected as the wood flooring specialist for the Southern Living Custom Home Builder Program for 5 years. 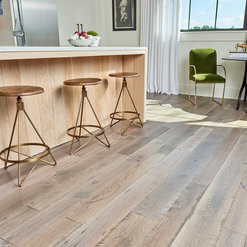 Chosen as the exclusive wood flooring manufacturer for the Mondavi Home Collection. We purchased 3 different floors from Authentic Reclaimed Floors totaling 667 square feet for our cabin. 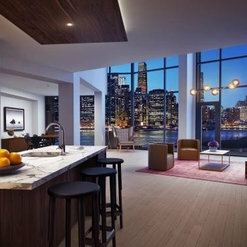 Unfortunately, when the floor was laid, we realized that we did not receive the 157 sq ft we ordered for guest suite and rather were shorted 30 sq ft and another 8.5 ft was damaged and unusable. We contacted the company and they said they were out of the flooring and couldn't get us more. We explained the situation and they said they would get back to us. We emailed again and called several times with no call backs or responses to email. We finally spoke to someone and were told that their records show that they only shorted us 8.5 sq ft. Strange that they knowingly shorted us and never contacted us or reimbursed us, but whatever. We asked for the 30 sq ft needed that we paid for and never received and they said they would need to charge us for it. Granted, we did not lay out the floor to make sure we received what we ordered - we trusted that they shipped us the quantity that we paid for and have frankly never had an issue like this before and in speaking to friends and contractors, nor has anyone else. There was a time delay from order date to the floor being laid due to a death in the family that required us to put our project on hold. This delay really is immaterial when you look at the facts but that is the excuse that Authentic Reclaimed Floors used and they asked that I tell the whole story so there it is. Here's a photo of our partially laid floor since they failed to deliver what we ordered. Please reconsider your position and make this right. Thank you. I am very sorry that you feel you have been wronged. The 157 sqft of Old Estate you purchased was a sold as a "web special" as it was left over inventory of a discontinued floor. We no longer make that profile or color and have not since September of last year. Had a claim been made around the time of delivery this would not be any issue. Hearing about your problem eight months after delivery is an issue. Just amazing. Great service, great communication, great product. 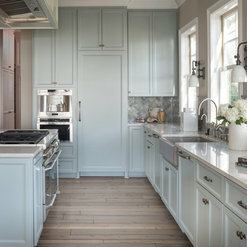 I used their Engineered Pine, and these guys stand out in a world of engineered wood, making it look just like your "normal" old-school solid wood floors. They use thick layers of wood on their substrate, which allows for quite a few cycles of refinishing should that be necessary (about 1/8 inch, as compared to ~1/32 - 1/16 by most engineered guys). They don't use clear coats / polyurethane / et al, instead using oil -- while a bit more maintenance intensive, this gives wood an actual wood look; as opposed to modern day coatings that make wood look like plastic. Just AAA+++++. 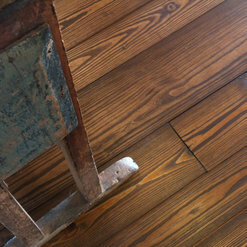 Authentic Reclaimed Flooring recently supplied flooring, stair parts, and materials for columns in the Old Dirty Goat finish on antique heart pine. They were a pleasure to work with and went out of their way to go the extra mile. When I discovered that I had left one half newel off the order, they delivered on the same day, enabling us to finish the job on schedule. They also made sure we had a little extra material over and above what we ordered. I highly them! Tom, thank you so much! It was a pleasure working with you and we look forward to the next job! You guys are doing a fantastic job on the house, can't wait to see photos once is finished. Such a cool design! 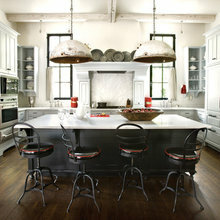 Authentic Reclaimed Flooring is such an incredible business. I have been luck enough to collaborate and shoot some projects with the amazing team at ARF. I love what this company stands for and provides. It is so cool that each floor ARF provides comes with history and a story. You can see it in the product. 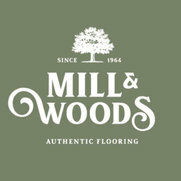 There is only one company that I will ever refer people to when looking to install hardwood flooring, Authentic Reclaimed Flooring! Tom was a pleasure to work with, very responsive and payment was received as promised. The whole company operation was very professional. We would welcome the opportunity to work with them again in the future. We recently purchased the "Old Dirty Goat" wood floor from this company. The floor turned out great and came as promised. The customer loves their floor and I've had several people ask about it since. My wife is even considering using this floor in our upcoming personal home we are building and that says a lot coming from a builder! LOVE these floors! We splurged on these floors for our new home & it was definitely worth it. Everyone compliments us on the floor as soon as they come in our home. We had someone else install & they followed Authentic Pine Floors recommendation to glue down with "a lazy S", no nails. However, some of the wider boards are cupping as our builder feared they would. Also, FYI I would try to put these floors down as the last step in your project, as paint, glue, etc is not easily removed without removing the stain. The floors are absolutely beautiful though & we think they are worth the extra expense. I am so glad you LOVE your floors. You brought up two excellent points that are essential to insure your floors are as beautiful when you move in as they were when you received them. I have attached installation instructions for wide plank solid and engineered wood flooring. Having these instructions in hand will help future clients choose the right flooring professional who knows exactly how to install wide boards. 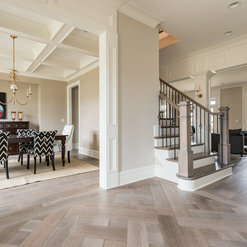 You are exactly right as to installing prefinished floors as the last step in your project. We take so much pride in making floors that will get more beautiful as they age, it breaks our heart to know they are being abused before the homeowner ever walks on them. I am so glad that you ended up with floors you are thrilled with!!!!! Please send some pictures!!!!!! 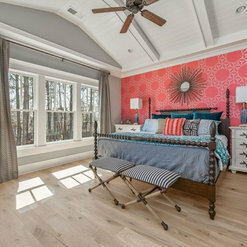 Thank you so much for reviewing us on Houzz. You were such a pleasure to work with and I am thrilled you love your floors. As you and I discussed yesterday, it is gratifying to know that by purchasing a product made entirely here in Georgia, you helped many people feed their families!! I hope your family enjoy going barefoot because the oil finish not only looks good, it feels great! Once again, thank you so much for choosing Authentic Pine Floors!!!!!! The sales people were very knowledgeable of their products. They provided expert advice concerning installation and floor finish. Everyone was very helpful with questions and assistance during the installation process. They have a great showroom with wonderful samples and photos. We absolutely love our oil rubbed oak flooring from Authentic Pine Floors. They are very natural and authentic looking and I know they will meet the test of time. We did our entire house in wood, excluding closets and are so glad that we did. Nothing, in my opinion beats the look and feel of wood flooring. 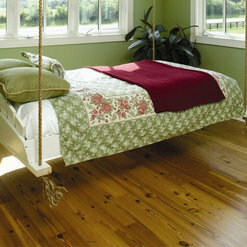 Authentic Pine Floors offers a wide range of options and will meet your expectations in terms of service and expertise. 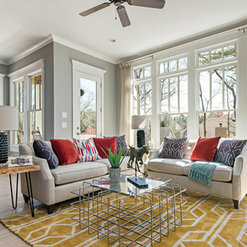 I have been installing and finishing wood floors in the Atlanta area for about 29 years. The first client that used their product, and i installed and finished was about 25 years ago. Since that time,i have worked with hundreds of homeowners and builders that have purchased their product. I am very pleased to say that i have had a 100% success rate with my clients. 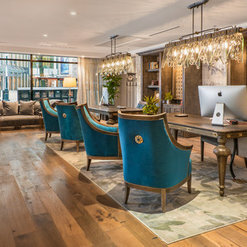 Being an indepedent flooring contractor, using wood floors from many different suppliers, that is not always the case. The homeowners that i have dealt with often comment on how helpful their staff has been. Which is another big plus with me. 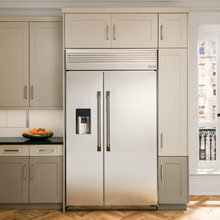 Excellant product and service in my opinion. Thank's. Commented: beautiful floors! did you use a grey stain?We custom tint all of our finishes in house. Commented: FinishGood Afternoon, we create our finishes/colors using Woca oil. Commented: Cabinet ColorSorry, I am not sure about the cabinets. We provided the reclaimed heart pine flooring in this home. Thank you!